If you are wondering why I have been MIA for the last few days, there is a good reason for that...we went out of town to celebrate Mother's Day, my parents came as well. The kids had a blast getting to swim and such, and in turn I had a blast. Thank you to my incredible husband, kids, and parents for an awesome Mother's Day weekend. This afternoon, I was craving muffins. When I went in to the kitchen to satisfy my craving (by whipping some up), the black bananas were crying out to me. You guessed it! 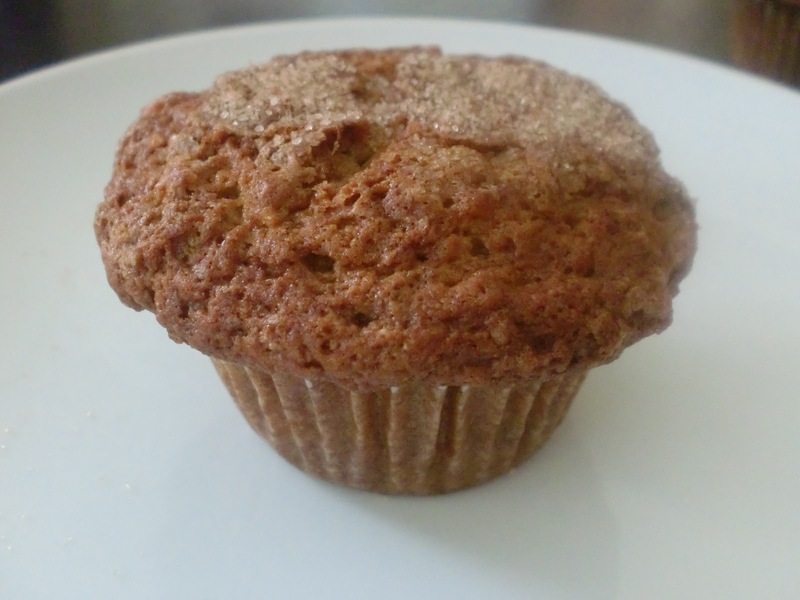 I made some yummy banana muffins. See the recipe and pic below. Sometimes the simplest of simple is the best. 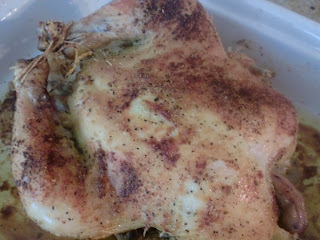 Tonight, I made the simplest roasted chicken with stunning results. I also made roasted potatoes (they just go hand in hand), and a spinach salad. The dinner was pretty much effortless, and messless. King Hock looooooved the chicken. He must of told me 10 times. I agree with him. 2. Buying very fresh chicken, I bought the chicken I made today. Preheat oven to 350 degrees. Place the chicken in a roasting pan. Rub the skin with olive oil, and inside the cavity. 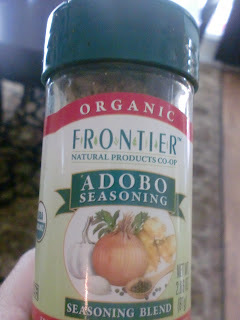 Sprinkle genenrously with the adobo seasoning. Bake for 1.5 hours, or until the thermometer reaches 165-170 degrees. Line a muffin cup with papers. This recipe makes 12 muffins. In a bowl mix together the flour, baking powder, baking soda, salt, and sugar. Add the egg, vegetable oil, vanilla, and bananas. Mix until just combined, do not overmix. Scoop batter evenly into muffin papers. Sprinkle tops with cinnamon sugar. I hope you had a Happy Mother's Day.